Oculus is a semi-transparent focused design, allowing rich and subtle full page backgrounds to filter through, to stunning effect. Both light and dark style variations are included. Based on the Gantry Framework, a standard and extensive set of features are available. Custom styling for RokSprocket's layout types and 3rd party K2 styling is also included, amongst many other features. 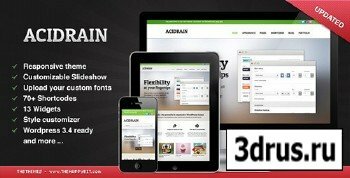 Introducing AcidRain, the powerful, flexible and responsive multipurpose theme suited for a corporate webiste, an agency or any other business looking for a clean and professional web presence. 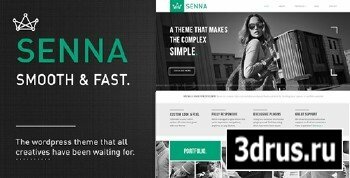 Senna is the WP theme all creatives have been waiting for. Are you a creative agency, graphic designer, fashion creator, photographer, artist or anything in between? Then this theme is just perfect to show off your work. Boasting a clean, minimalistic design with a bold and carefully thought typography, Senna let's your works shine and play in the eyes of your visitors. This is a very visual theme, merging pictures and text seamlessly, featuring a grid based, patchwork portfolio section and page that tempts your visitors to explore and have a full experience of your creations. Masakini is clean multipurpose responsive corporate and business HTML template suitable for any kind of businesses or corporates. This item was coded using HTML5 and CSS3 with well-structured coding. 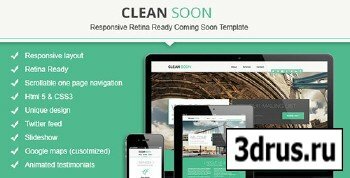 Clean Soon is an easy way to show your clients that your site is under construction . It's easy to use, Clean Soon has an awesome and modern looking it can be used by any compagny. It has more descriptif section comparing to regular unther construction template, to give you extended options for the information that you can display about your compagny. Pretty is the ultimate and professional way for you to present your portfolio or the very best starting point for your own corporate website. If you are searching something different and out of the line, please check out the Pretty - Clean & Modern Responsive Portfolio Site! Pretty is fully responsive – resize your browser window to see it in action. All the layouts are built with responsive design in mind. It works well on desktops, tablets, and mobile devices. The template is perfectly adapted to various screen sizes, and its attractive fresh design makes it look great. Pretty is a fully configurable and easy to use HTML website template with a lot of great features. 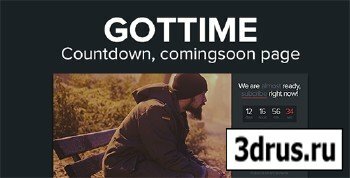 It has been specifically designed to be easily customized and it's created by using the latest HTML5 and CSS3 techniques. With a responsive design it is easily usable with any device! 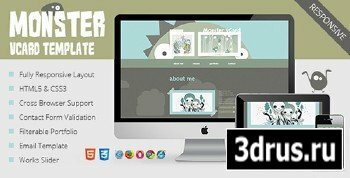 Fully responsive HTML5/CSS3 Template. Its simple yet powerful. It has a sliding Subscription form. Check demo! NEWS is a unique and creative html template with clean and modern design. 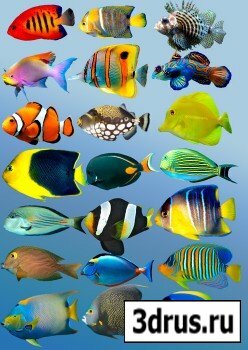 It is perfect choice for your magazine, blog and news websites. It can be customized easily to suit your wishes. This Joomla template will help you to create a portfolio website with the latest trends look. Creativity has an up-to-date and stylish one page header thanks to its great possibilities, you may change color, pictures, add some text easily. Besides, there are a lot of animations so it is possible to make icons move. It is also interesting that there is a paralax scrolling effect used in the header which makes this Joomla template even more attractive and desirable. It is important to mention that all graphics are generated with CSS use and there is a font set font of icons called "The Font Awesome" used in the template. The latest portfolio Joomla! templates has support for two menu types, namely: one page menu and a standard Joomla menu. We cannot forget to mention about a portfolio section which was created with a new portal mode prepared especially for this template. Apart from that, Creativity supports responsive design and uses the following extensions: K2 and News Show Pro GK5. If you need a contact form to be displayed on your website, there is nothing easier but to use a plugin prepared especially for this purpose!